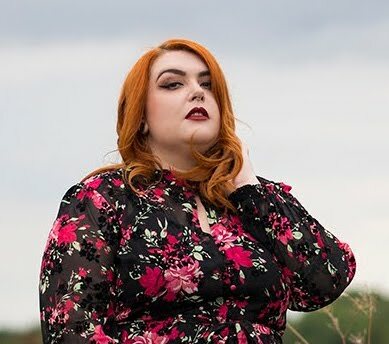 SMOOTH LIKE SATIN - Sugar, Darling? 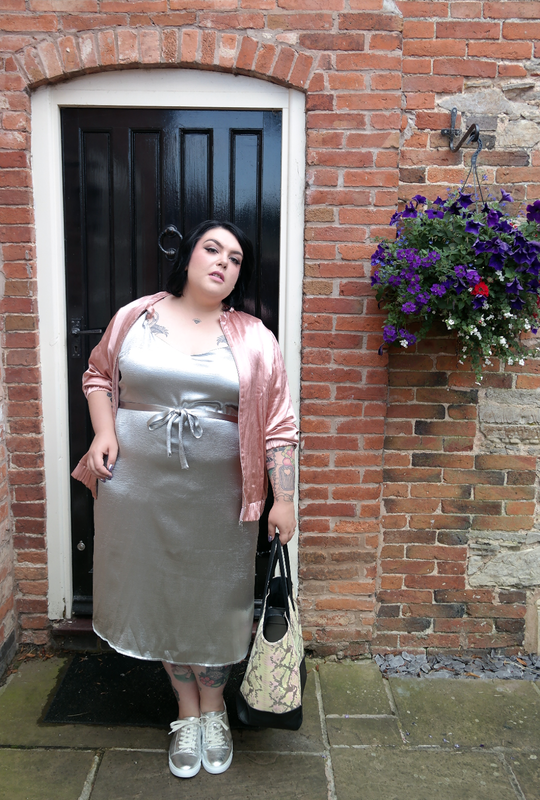 OK guys I have to admit that until now I've really not got the whole slip dress trend, but then I spotted this New Look Curves Silver Metallic Slip Dress (£19.99) and I fell in love with how shiney it was and I knew I needed to give it a go. 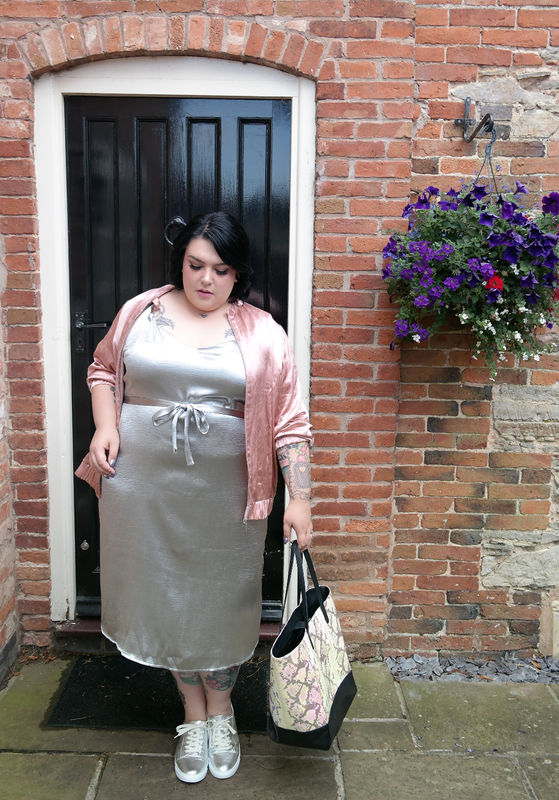 Honestly I am so so glad I did because it's become one of my favourite dresses of the year! 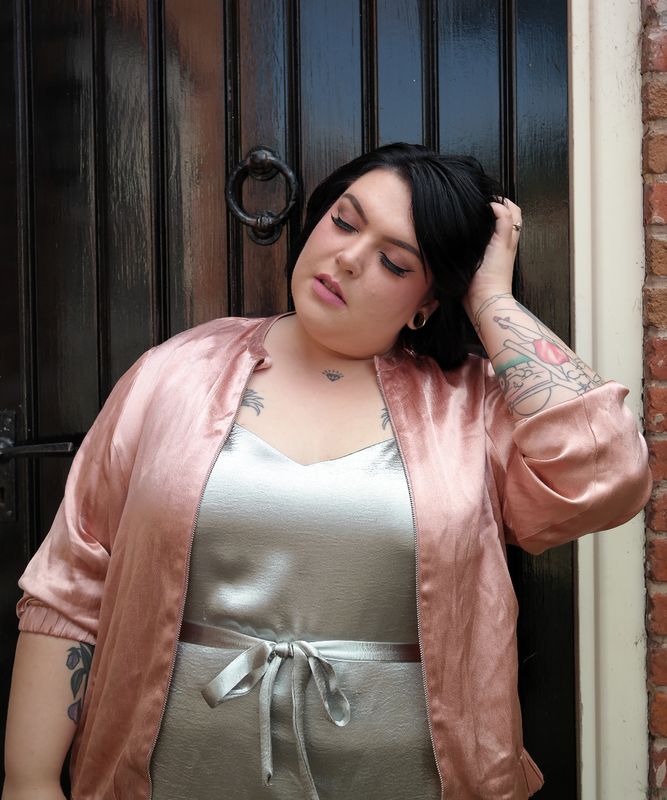 It's so simple but has that bit of pizazz with it's metallic silver sheen and you can team it with so many different jackets and accessories to switch up your look. 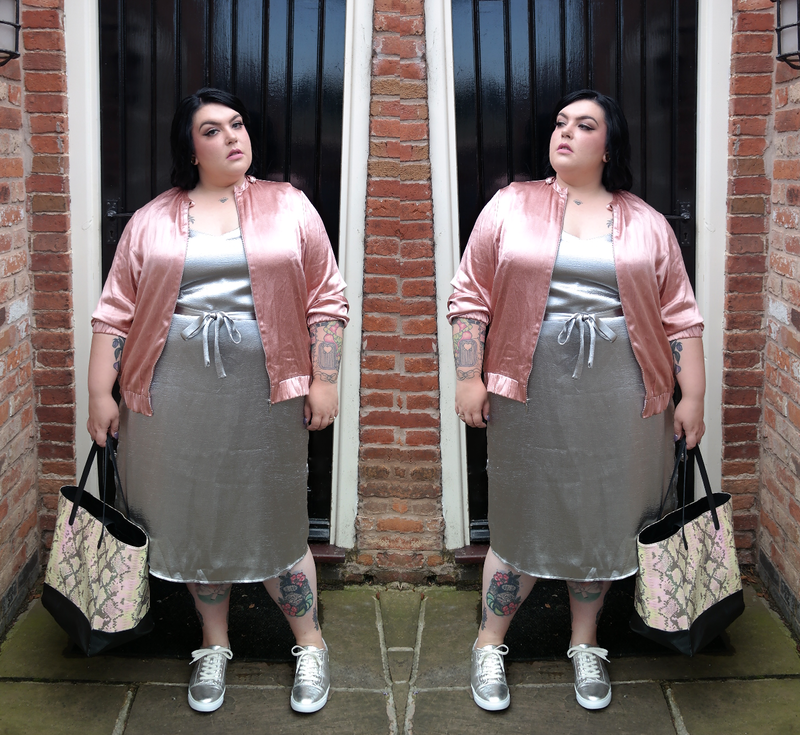 My favourite has to be this outfit though, taking the shine to the max with the V by Very Sateen Bomber Jacket in Blush Pink (£35.00) and some super snazzy and majorly comfy Clarks Glove Echo Silver Leather Trainers (£45.00). 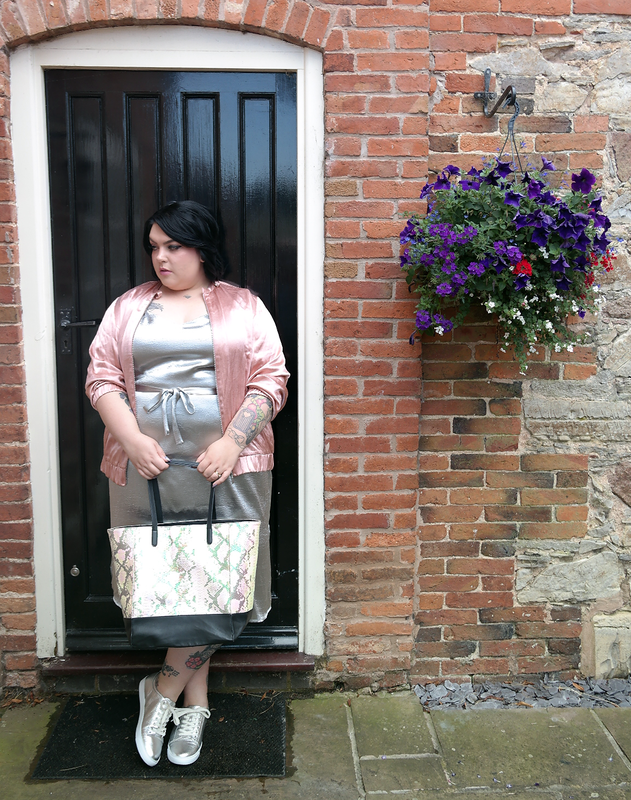 An old favourite completed the look, my iridescent snake skin French Connection shopper which is sadly no longer available. 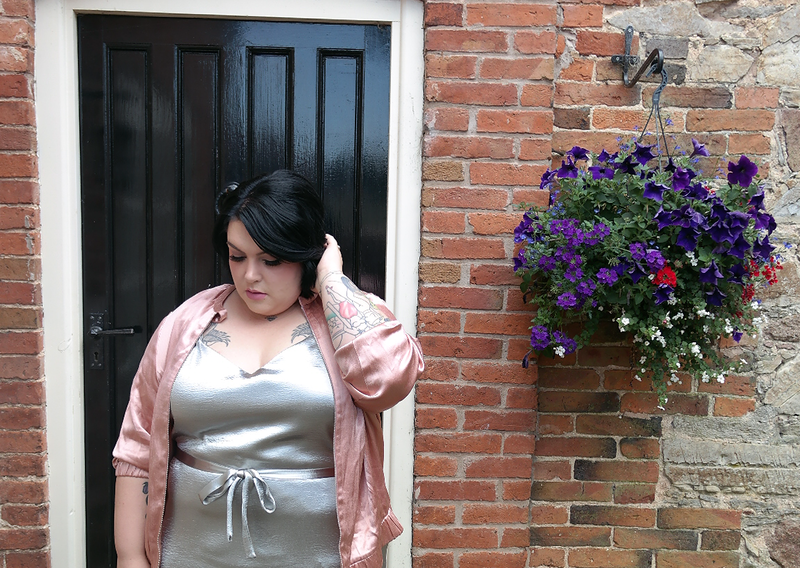 As the whole outfit is so shiney gorgeous I kept my make up and hair look pretty neutral with soft waves, pale pink matte lippy and a subtle purple eye contour.